This is one of the three sets of the New Mombasa Police Department (NMPD) sub-line of Halo Mega Bloks. 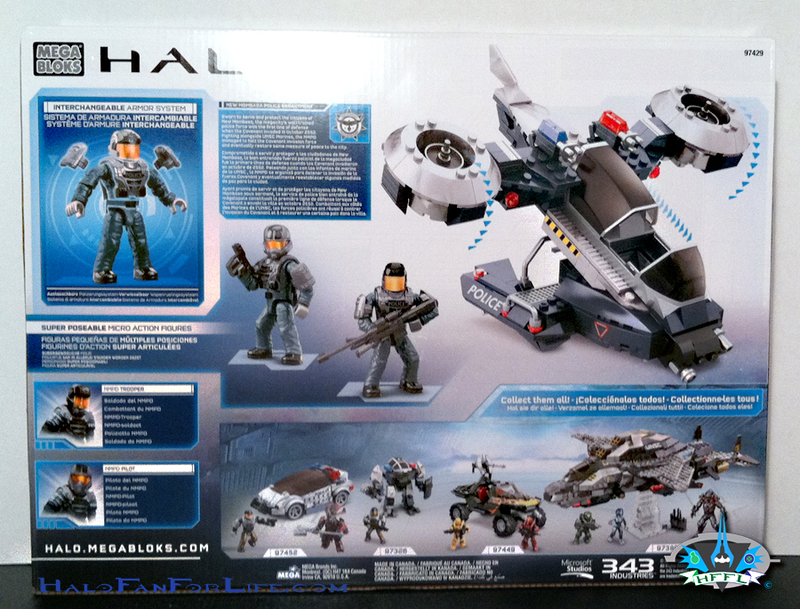 The box art is nicely done with an action seen on it. The back of the box shows the set included as well as the other two NMPD sets, the Flame Warthog and the Broadsword sets. And the pieces sorted out. 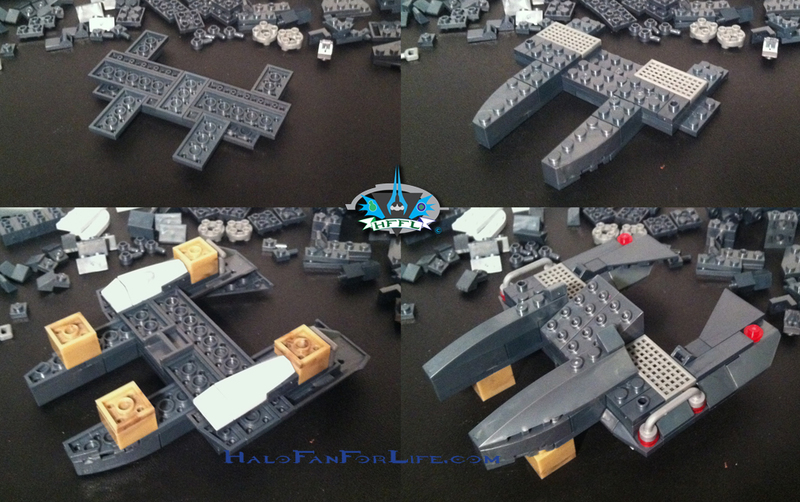 Above shows some of the steps it takes to build the “skid” portion of the hornet. 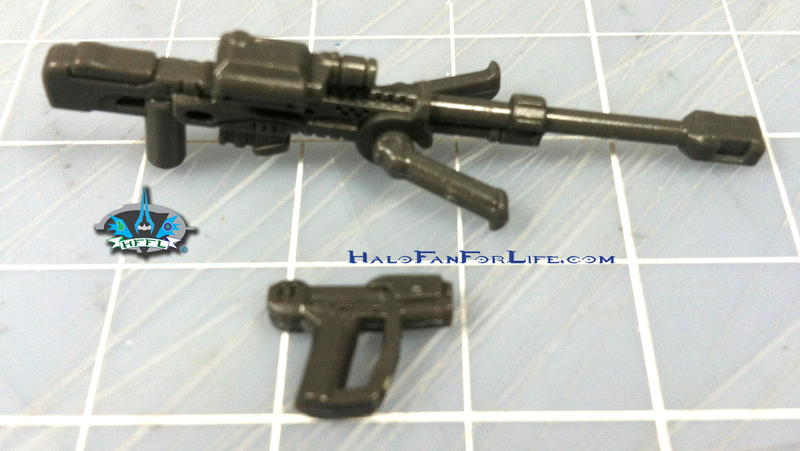 Note that Mega included tan camo books to use as stabilizing pieces while you build the set. I’m always glad when they do this. Not just the stabilizing aspect, but the fact that now they are including bloks that we can use elsewhere. Those camo books will be great to use as ground pieces in a diorama. Next we have the main body of the Hornet coming together. Apologies for the white washing in the above photos. I was building this set under different lighting than usual. I included these two steps of the building booklet so that you can see there is a error in the color shown. 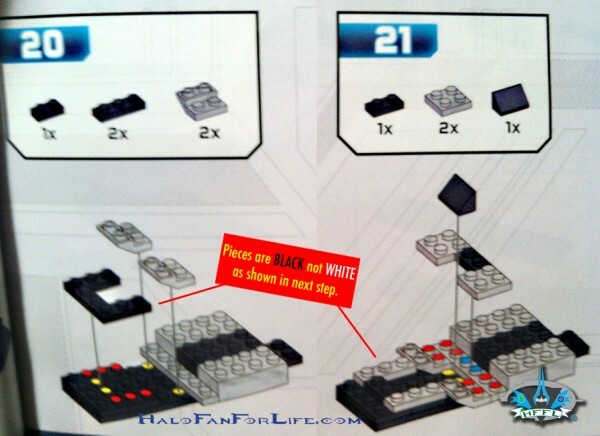 As noted in the red block above, the pieces are black and do not change to white in the next step as shown. It’s minor, but may make you slip up during the build. That’s why I included it. 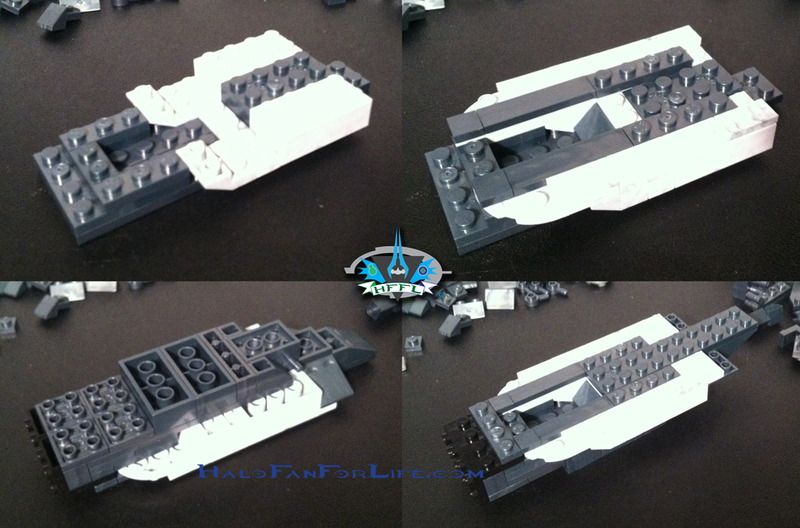 Now the wing portion is being built. The body and wing assembly coming together. The rotor assembly is like the previous electronic one. 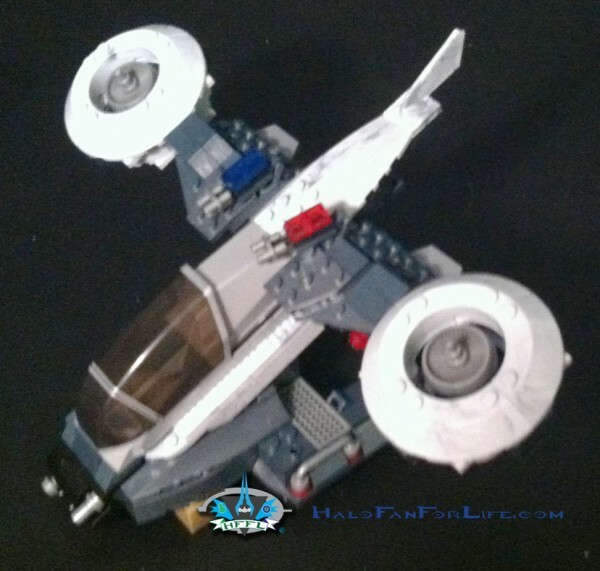 I really like this redesign of the rotor, versus the original version. It looks and moves better. The body and wing assembly completed waiting for the skids to be attached. Make note of the red and blue lights. Before the stickers are put on, these are the only thing that identify the Hornet as being a police one and not a UNSC military one. The skids are attached and the Hornet is almost ready for flight! 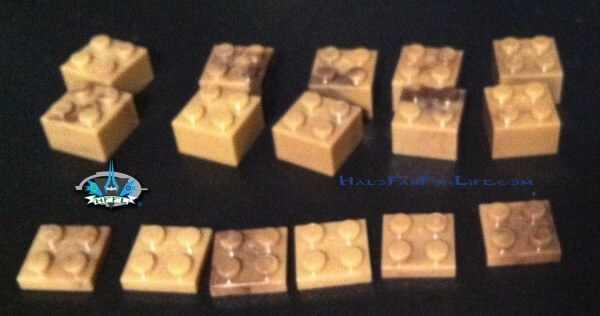 Again, here are the tan camo pieces included. Above shows the leftovers I had in the set. I couldn’t really make something out of these, so I put them in my extra pieces drawer. A sniper rifle and magnum are included. Note the grey color. 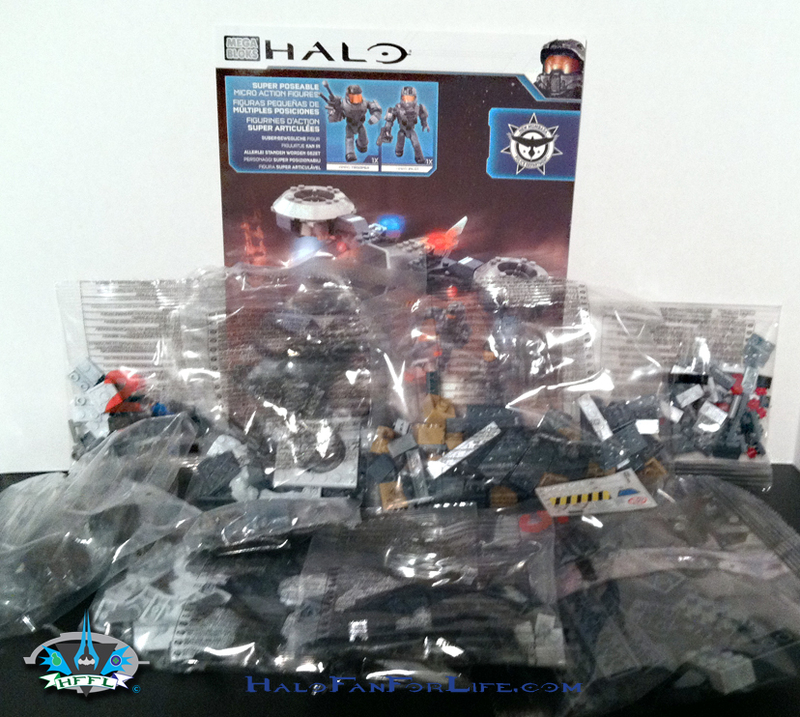 With exception to the helmet, the two NMPD figures are the exact same. That said, I REALY, like the pilot helmet so much more. Here is the Hornet from different views, with the stickers in place. And the final set with figures included. The trooper is holding on to a cross bar at the back of the Hornet to stay on. Thank the new articulation to these figures for that! 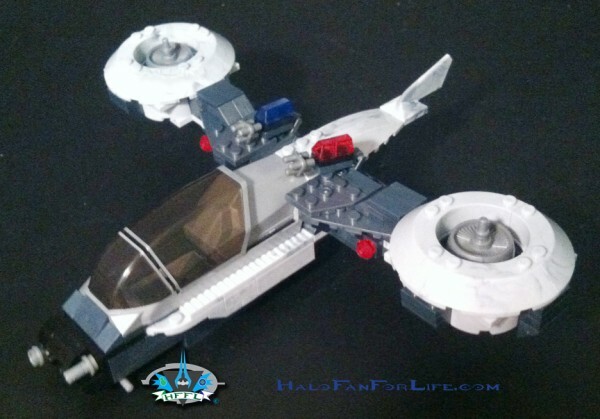 Summary: The NMPD Hornet is a pretty quick build. As mentioned above, I had a headache before I decided to build this, so my build time will likely be longer than yours. The color of the Hornet is very nice. In fact, if you don’t add the stickers and the red/blue lights, you practically have an Arctic color Hornet! Overall Rating: I give this set 9.5 out for 10 medals. This is a well done Hornet. It’s much like the electronic one from last year. I do not have any complaints about the set. The only thing I wish it would have had was another figure. Either another trooper or perhaps a Covenant figure for them to fight off. Again, not a complaint, just something extra I would have liked to have seen in the set. Do I recommend it? Yes, indeed. 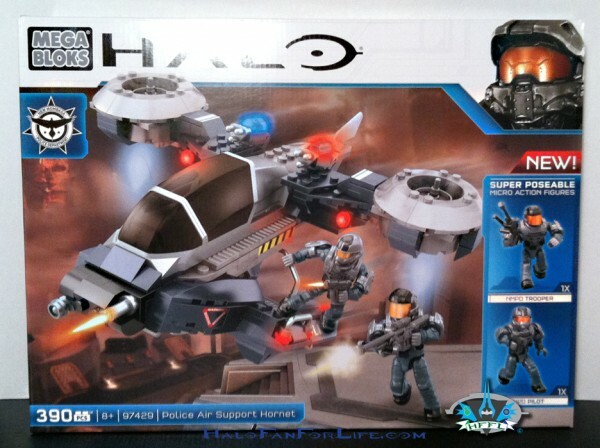 Though this isn’t a game accurate set as we never saw a NMPD hornet in any of the games, it totally fits in with the Halo Mega Bloks universe. 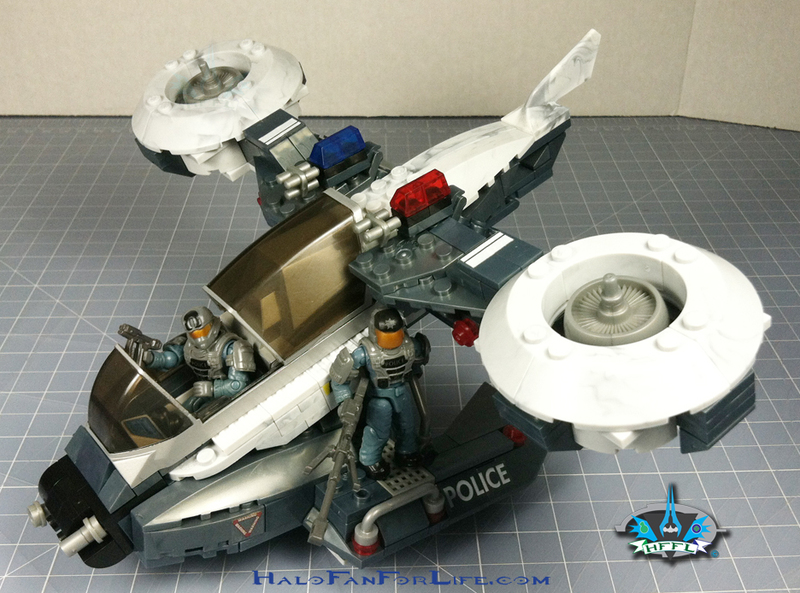 As I mentioned above, it will also serve well as an Arctic Hornet if you don’t put the red/blue lights on it and avoid putting on the police stickers as well. As such, this could even be a multiple purchase set! If this review gives you an informed decision on whether to purchase the set or not, please consider a small donation (50 cents) maybe. It’s much appreciated and helps ensure that HFFL stays on the internet. Thank You.